This is my first MAME-related project. 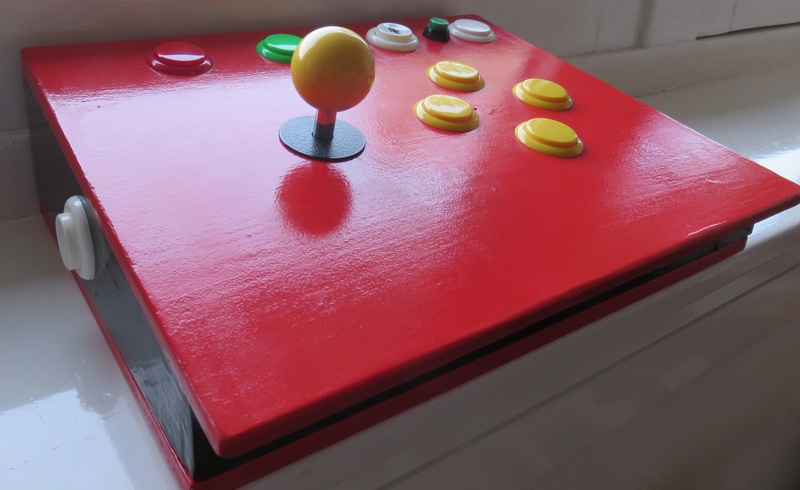 It's a control panel with real arcade buttons and a joystick. It has a USB-B connector at the back so you can connect it to a PC with a normal USB cable. When connected, the built-in Xin-Mo mini 1-player controller presents itself as a USB joystick. I've bought all arcade components from the ArcadeWinkel.